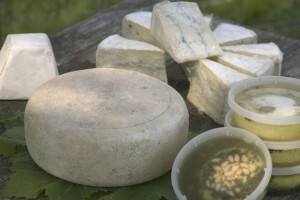 Learn the basics of goat cheese. We will make chevre (a french style of fresh goat cheese), and many of its variations, as well as feta and a quick mozzarella and ricotta. We’ll discuss how goat milk is different from other milks, and why certain cheeses are better made with goat milk. Do you have goats and want to make cheese? Are you thinking of getting goats? Meet the goats and decide for yourself! Please note: During the winter months, we may need to use cow’s milk instead of goat’s milk, as our goats will be dry, but we will be teaching the same basic skill set and styles of cheeses that you would use with goat milk.